Kharagpur: Twenty five years ago, IIT Kharagpur’s Vinod Gupta School of Management began a momentous journey. 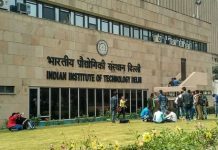 It was the first management school to be set up in an IIT. On March 10, 2018, VGSOM the prestigious business school’s silver jubilee celebrations kicked off Two stalwarts who have been instrumental to its birth — former director and renowned scientist, Padma Shri Dr K.L. Chopra, and the noted industrialist, philanthropist and IIT Kharagpur alumnus, Mr Vinod Gupta were guests of honour for the event. It is now the next level of evolution for Vinod Gupta School of Management which is among India’s business management schools. VGSoM, unlike other management schools, has aligned its academic programs and research to the IIT system. This has led the School to become the centre point of the much coveted financial engineering program at IIT Kharagpur, the multi-institutional Postgraduate Diploma in Business Analytics and collaborative Fintech project with SBI. “Instead of being a ‘me-too’ kind of business school, VGSoM is thinking ahead. Its focus on technology and analytics is the result of this thinking” added Prof. Prabina Rajib. The idea was iterated in the inaugural speech of Prof. P P Chakrabarti, Director, IIT Kharagpur. He said “We now look forward to contributing to India’s economic growth through this technology enabled management education. VGSOM will be working with other institutions and also departments at IITKgp in areas such as Quality, Medical Science and Technology, Manufacturing etc. Each of these areas would take our country forward and all of them require high quality management skills” said Prof. Chakrabarti. He invited the senior alumni from IIT’s oldest management school to teach at VGSOM as Adjunct Faculty with the option of electronically enabled classroom teaching. A panel discussion was deliberated on March 10 that will see an assembly of some of the brightest minds in the academia and industry. The panelists were Prof. Damodar Acharya, former director of IIT Kharagpur and former chairman of the school, former Deans of VGSoM – Prof. Kalyan Chakravarti, Prof. Shekhar Chaudhuri, Prof. S Srinivasan, Prof. Arabinda Tripathy and Mr Sourav Niyogi, VGSoM alumnus and Managing Director, Accenture. This panel along with the School’s patrons and alumni considered a 10-year vision plan or the VGSOM. Among other initiatives, the plan included a Data Analytics and Financial Engineering (DAFE) lab and an international centre for VGSOM to facilitate international collaboration. VGSoM has lived up to the vision of its founding fathers and blazed its own trail. It specializes in operations management, technology consultancy, marketing, finance and offers its MBA students a wide variety of new-age electives that are related to digital marketing, machine learning, taxation, block chain technology, business analytics and so on. The Executive MBA program at the IITKgp’s Kolkata and Bhubaneswar extension centers which strengthened the presence of the Institute in these two cities mentioned Prof. K L Chopra in his speech. The School is now ranked by MHRD among the top 10 business schools in India with high emphasis on research and more than 100% placement offers.